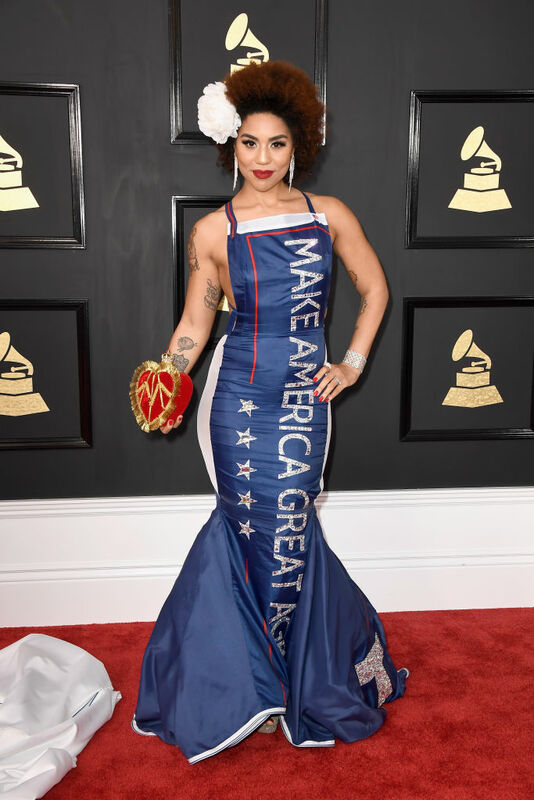 Singer Joy Villa surprised everyone at the Grammys this year when she removed her white, flowing gown to reveal a Trump-inspired dress as she walked down the red carpet. The 26-year-old singer knew her fashion choice would certainly ruffle some feathers in Hollywood, but she followed through anyway. “All I did was wear a dress–something that was pro-Trump,” Villa explained. Although Villa expected many people to have a negative reaction to her red, white and blue dress that had “Make America Great Again” written down the front, she said the media coverage in Hollywood is still unsettling to her. “They are actually attacking his supporters and attacking him–that are quite honestly disgusting and I’m appalled by it,” Villa said. “We decided to combat that violence by doing a tribute and something beautiful,” the singer said.